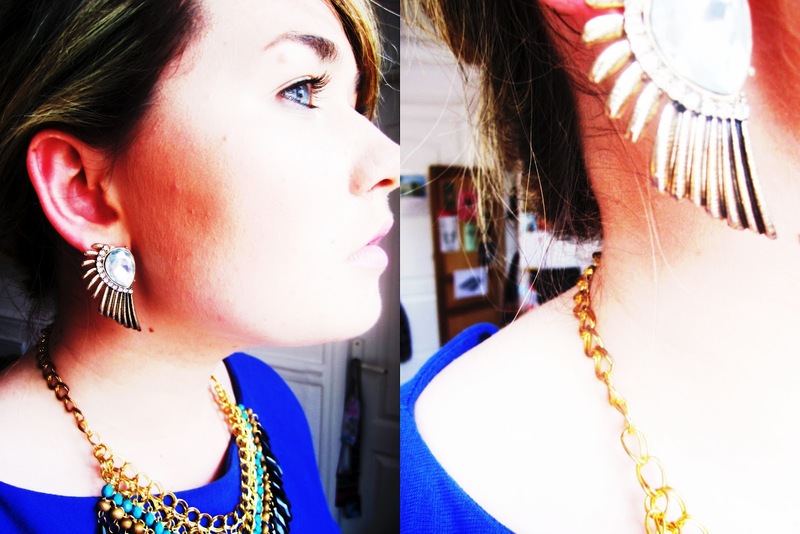 Royal blue and opulent jewellery - I swear I wasn't inspired by the Queen's Jubilee! =P I got this AMAZING gold and beaded tribal necklace from a cool Australian website Ruby & Riley which was set up this year by fellow-blogger and Irish girl Joanne (check out here blog JimmiLou here). I couldn't resist this gorgeous necklace (and the free shipping). I also bought a cool skull print scarf which you will be seeing soon if this silly wintry weather continues. I took a break away from computer and calculator today and tired my hand at model making! I've been given the job of building a 3D scale model of a structure in Paris. I have all the parts cut out and ready for action - didn't manage to slice any fingers in the process! Success! So hopefully it all comes together tomorrow. . .